An innovative new wheelchair lift has been introduced to the UK market by a Berkshire home lifts company. Stiltz Lifts` Trio Lift is a `real` through floor lift and designed for people with mobility problems to help them live independently at home. Due to its specialist design, the Trio can be fitted almost anywhere in the home and is an ideal alternative to a stairlift. The Stiltz wheelchair lift is unique to the domestic lifts market as it does not require load bearing walls or use hydraulics. It works via a dual rail system that creates a self-supporting structure and the weight of the lift car is carried in compression through the rails into the floor of the home. This system means no extra weight burden is added on the house. 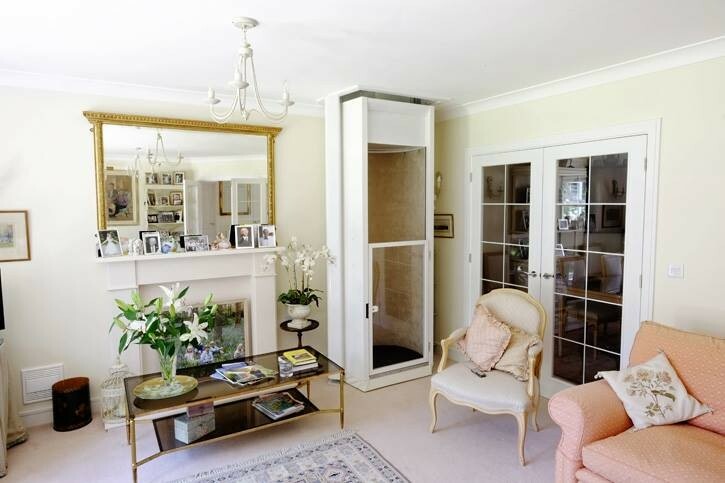 This new domestic lift is powered by a motor that is neatly self-contained at the top of the lift and out of sight. It then simply plugs straight into the wall just like any other household appliance. It uses a normal 12-amp power socket and with no hydraulics needed, the Trio is very quiet. Stiltz also has the Duo and Vista as part of its home lifts range but the Trio has a wider and deeper footprint. It is 1040mm wide and 1080mm deep. The lifts boasts many safety features including top and bottom safety pans, overweight, speed and out of balance sensors. 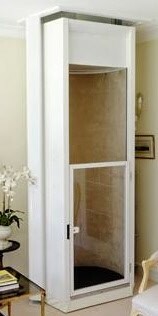 It also includes a full height light curtain, hold to run controls and an intelligent fail arrest mechanism. All Stiltz lifts come with an interior seat and half-height swing door and internal LED downlights which turn on and off when the user enters and exits the lift. As standard, the Trio wheelchair lift includes a cream exterior with matching interior lining and door colour with a standard navy carpet but there are a range of optional colours and finishes to choose from for an additional cost. While home lifts are generally becoming increasingly popular in the UK, Stiltz Lifts Director of Business Development, Lachlan Faulkner, believes there are still many people unaware that such a solution is available for wheelchair users. Mr Faulkner said: “The new Trio Lift from Stiltz Lifts is the perfect solution for wheelchair users as it means they can move around their own homes unaided and is far more practical than a stairlift.